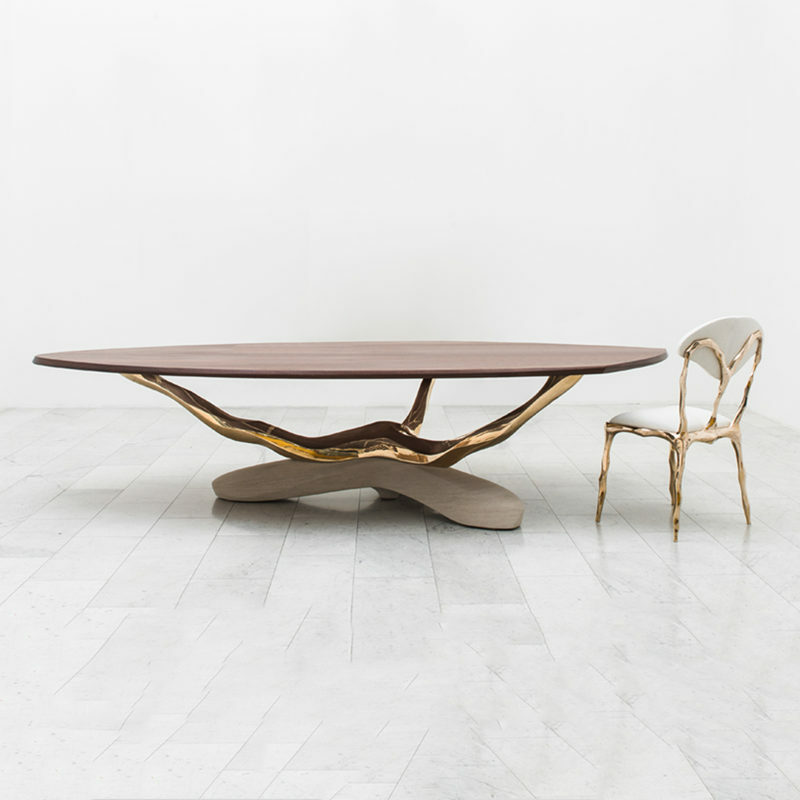 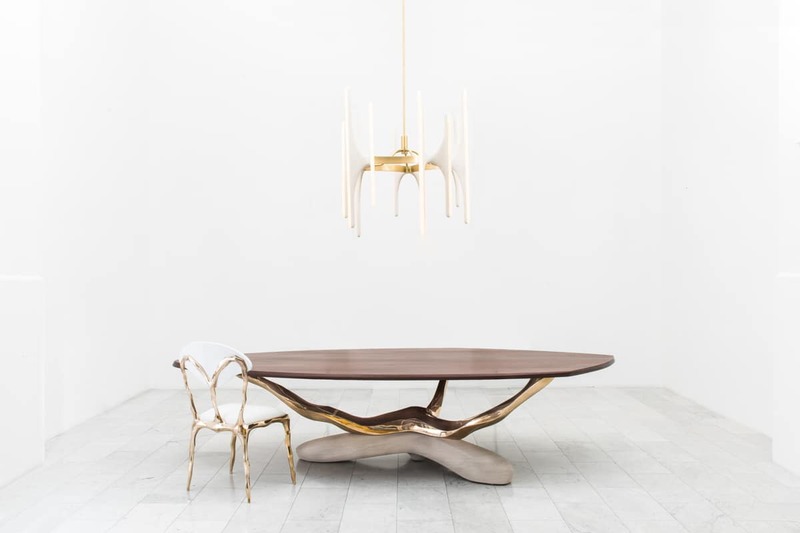 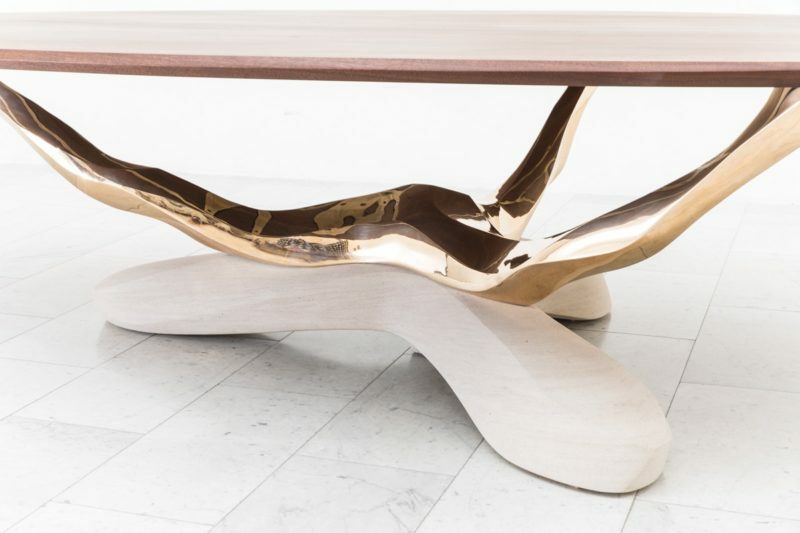 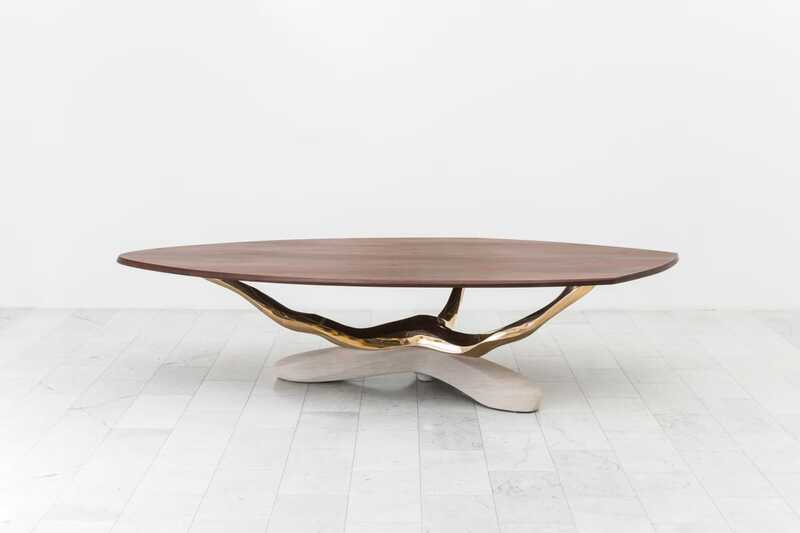 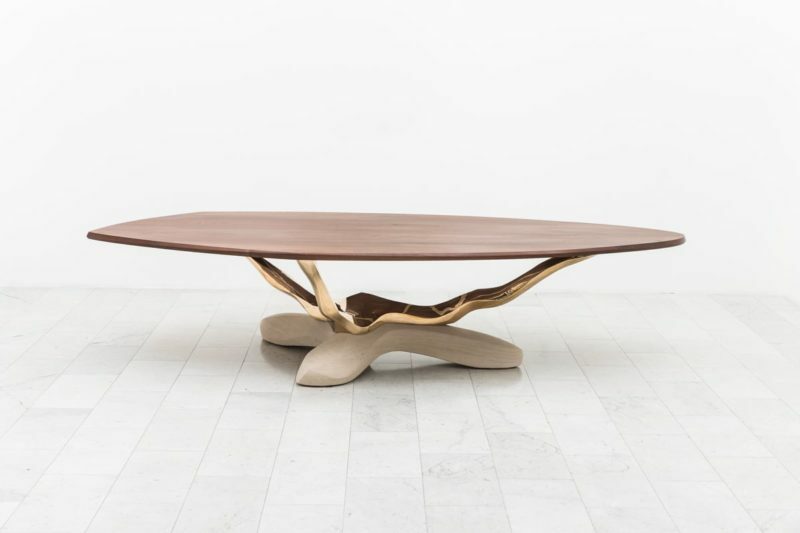 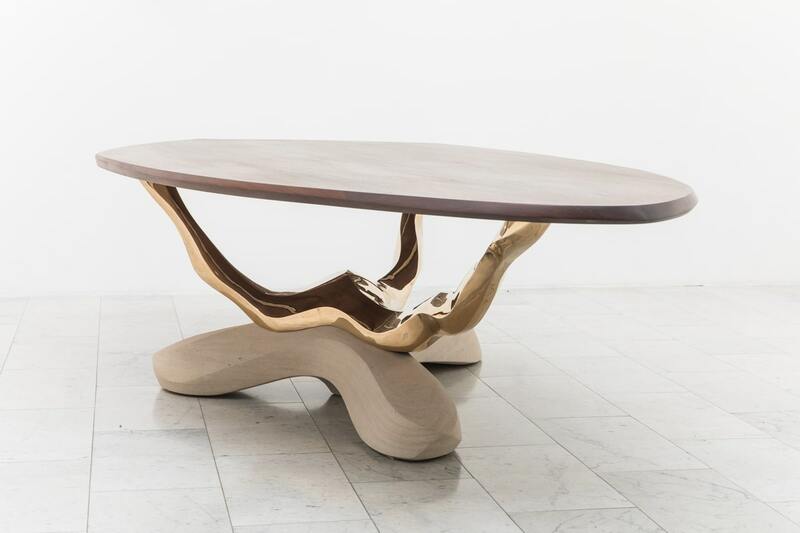 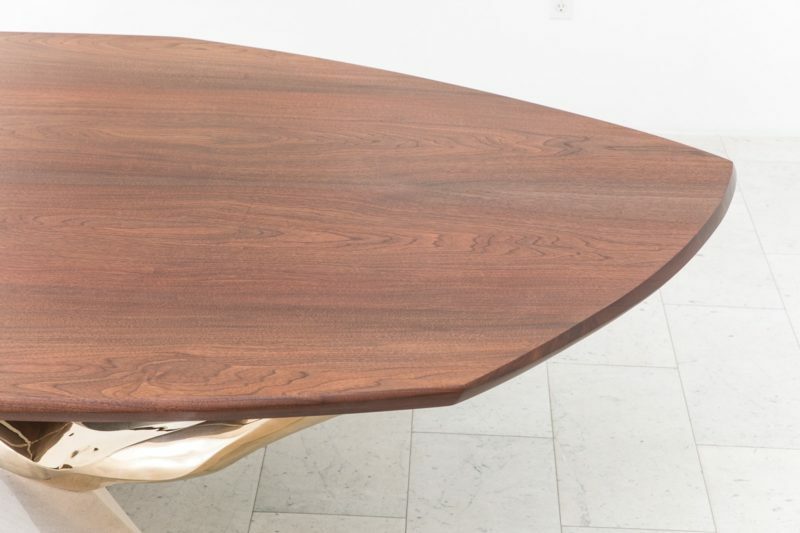 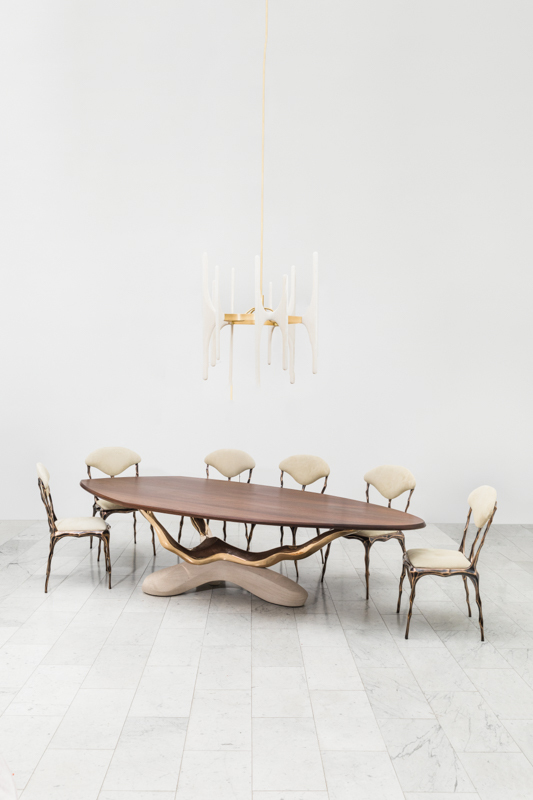 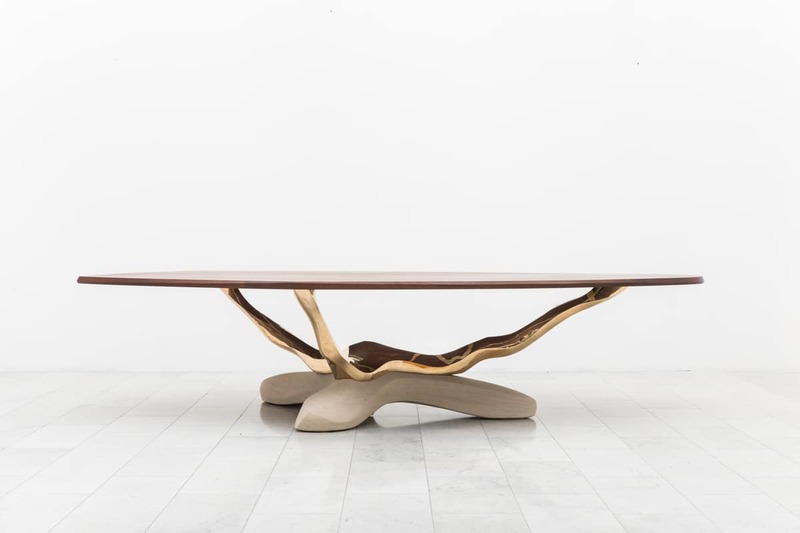 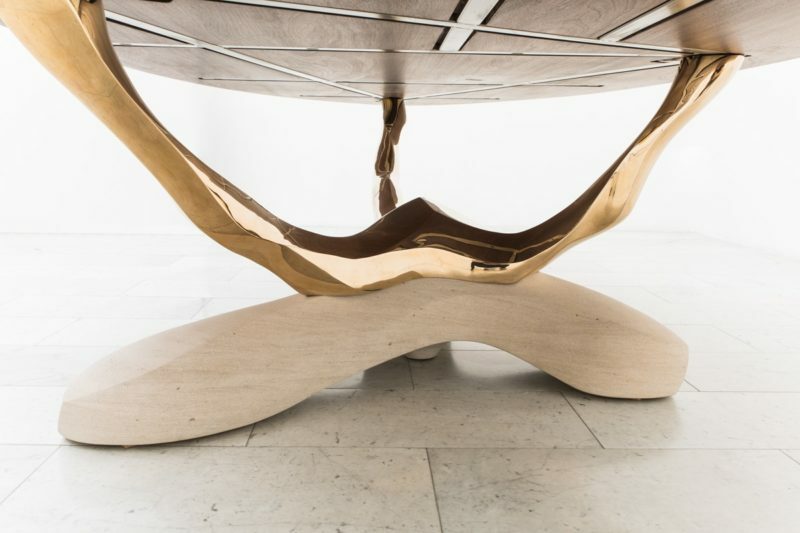 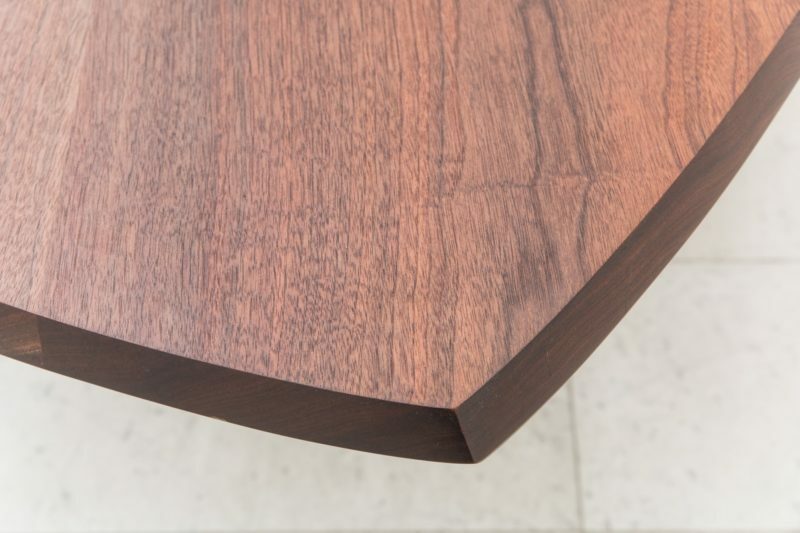 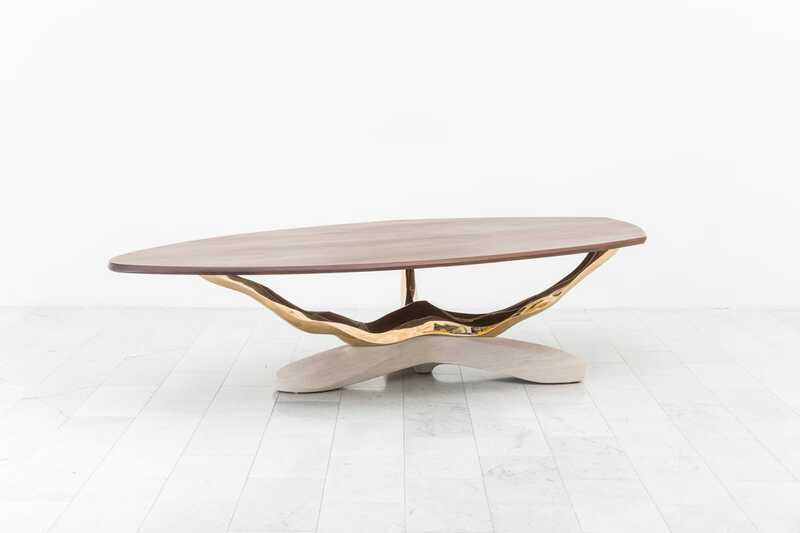 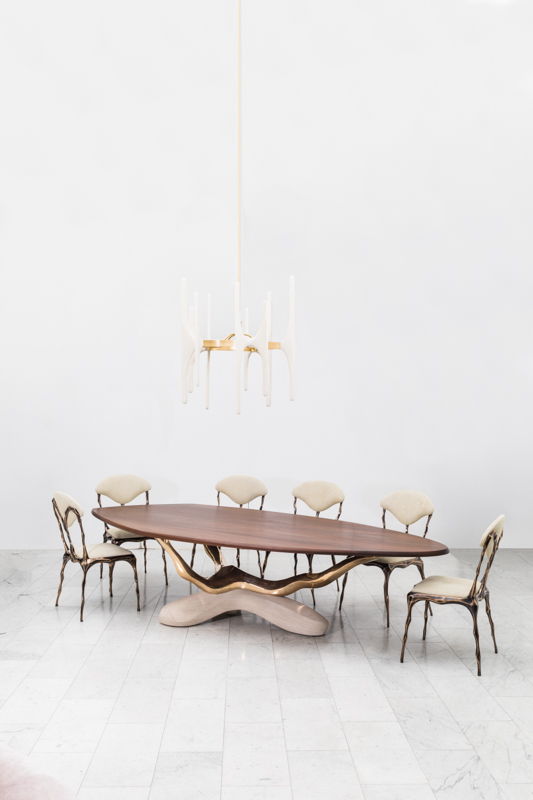 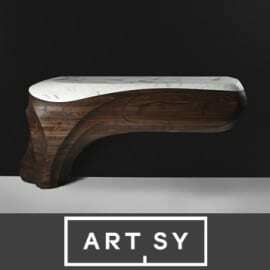 Markus Haase’s one-of-a-kind 12-foot handcrafted dining table features a sculpted American black walnut top resting on a bronze tripod, supported by a carved limestone base. 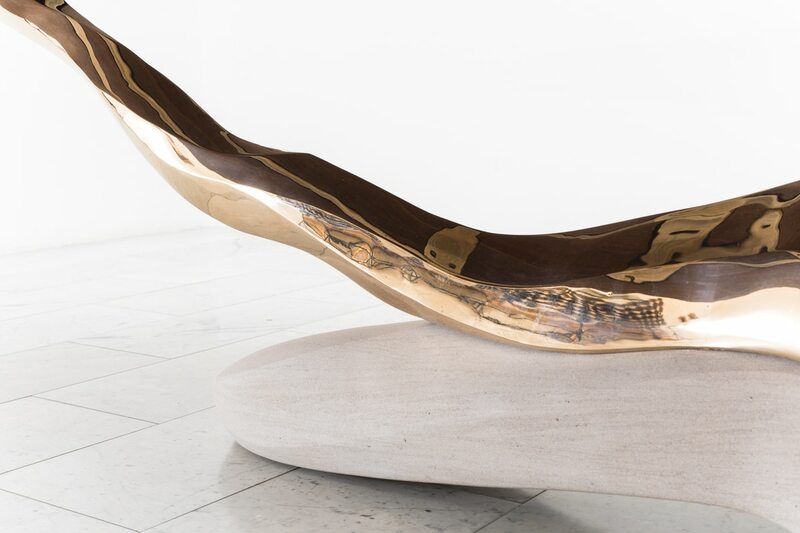 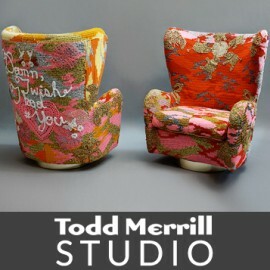 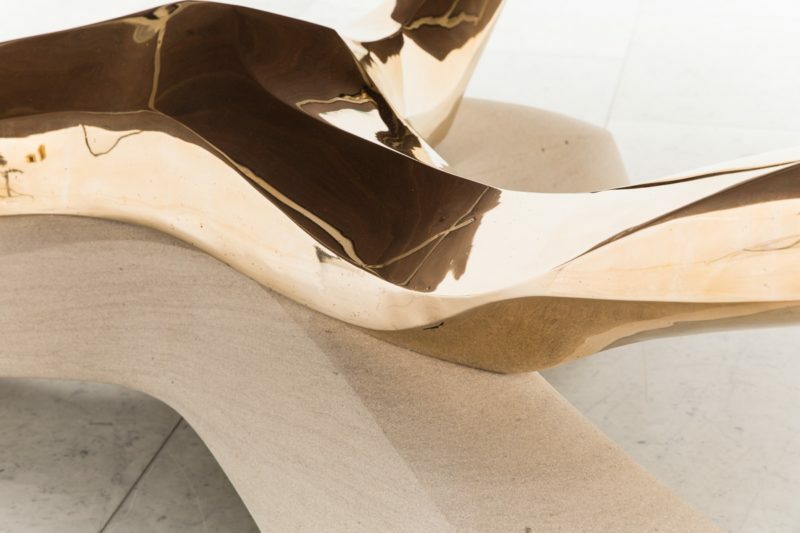 The organically shaped bronze tripod is sculpted in foam and then cast in the artist’s New York City studio. 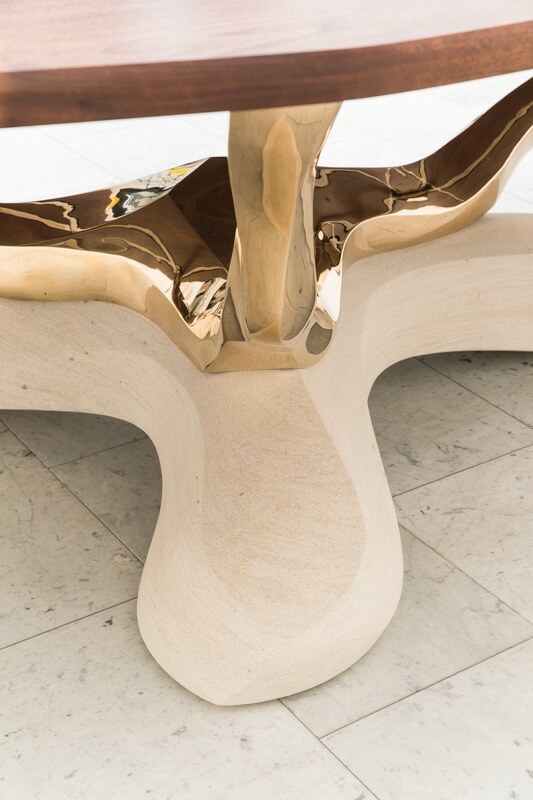 Contrasting the brilliance of the tripod’s mirror polished bronze, the soft hand-carved limestone base anchors the table in perfect harmony.